You might be asking yourself “do people still wear watches?” The answer is yes. Of course we don’t need watches these days since most of us can easily check the time on our smart phones. 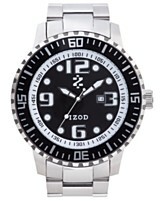 Adding a boyfriend watch can add a stylish element to your outfit. 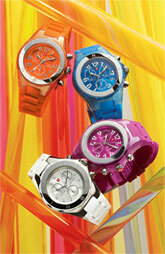 The boyfriend watch comes in many colors and styles and can be used a part of a stack or worn alone. 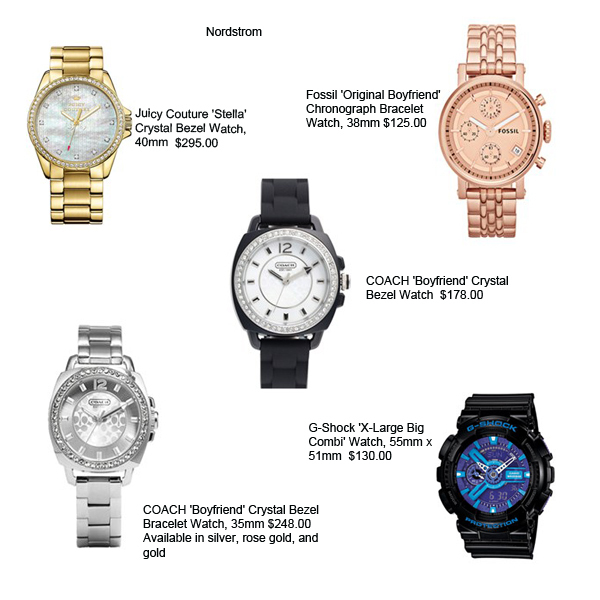 I shopped for the boyfriend watch at Macy’s and Nordstrom but they are available at many retailers. 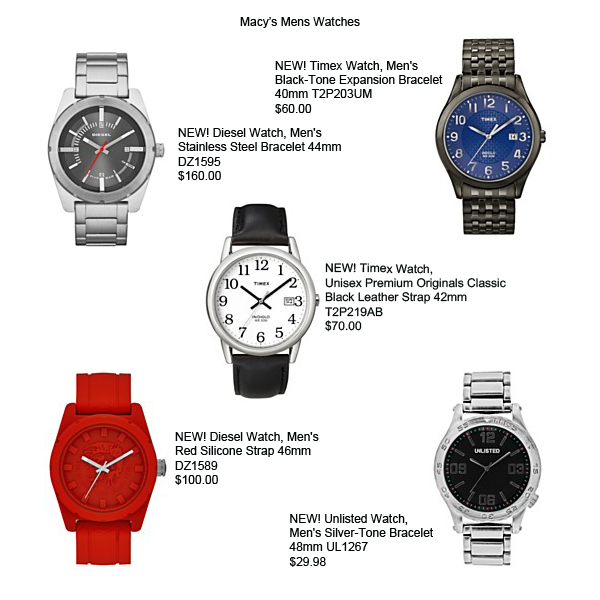 Here are the mens watches at Macy’s. I love boyfriend watches. I wear one every day b/c I always need to know the time at work (in a hospital) and can’t always have my phone out. I plan to buy a MK watch for my next “treat” to myself! I like having a watch for the same reason, you can’t always check your phone. 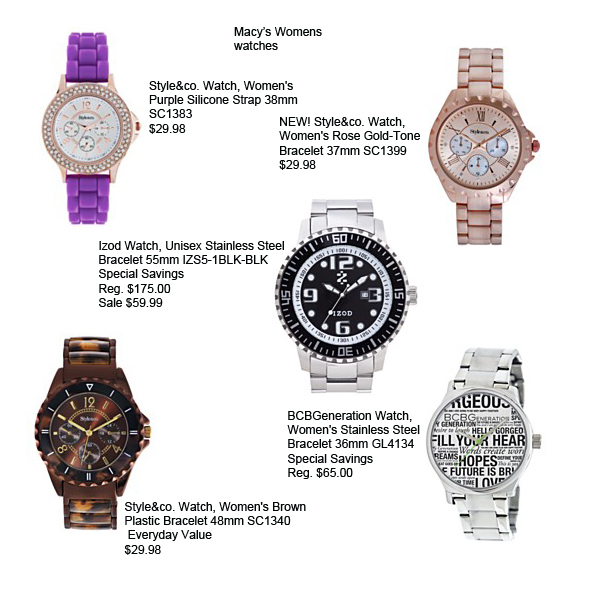 Michael Kors has some nice ones! Good choice!